Out of all the 80s costumes available, there's nothing that provides quite as much fun as a punk costume. Punk fashion was created as an anti-establishment and anti-materialistic statement, and this gives you the freedom to go crazy with your look. You can rip your clothes, add safety pins, belts and chains and generally go wild! There were too many different punk styles to feature here in one blog post, but we can have fun recreating a very memorable one, at least. If you're feeling too lazy to create a fancy dress costume from scratch, you can opt for a ready-made one instead. The one featured here is representing my favourite character from The Young Ones comedy series,Vyvyan Basterd who was, of course, played brilliantly by Ade Edmondson. 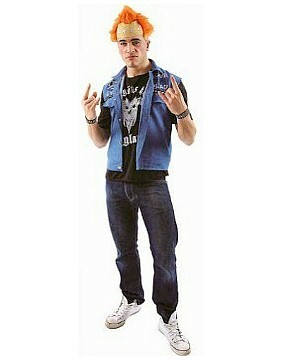 The outfit includes a denim-look waistcoat, T-shirt, wig with orange hair and bracelets for your wrists. Unfortunately, it doesn't include the trousers, but you can always add a pair of old denim jeans and add a few extra rips to them. The costume is missing the chain and padlock that Vyvyan wore around his neck, but you should be able to find a small one in a pound store or DIY store. Creating your own outfit will enable you to make your look more unique, therefore, reducing to chances of someone else turning up at the 80s fancy dress party/event in exactly the same costume. This waistcoat is excellent value and the ratings are pretty positive on Amazon. Reviews suggest it is on the small side, so I would order a size up on your normal size. Vyvyan never used the buttons anyway, so you won't need to button it up, thankfully. By adding some punk-themed button badges to the waistcoat you can easily create your own 80s punk style, and there are oodles of them at Amazon. 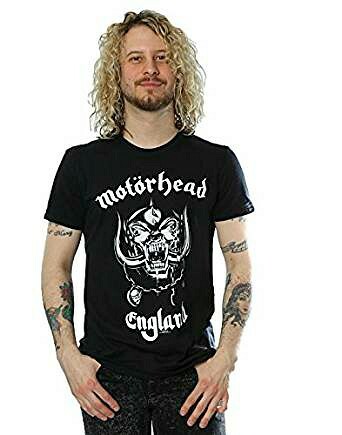 Vyvyan could sometimes be seen wearing a Motorhead Everything Louder Than Everyone Else album art T-shirt. 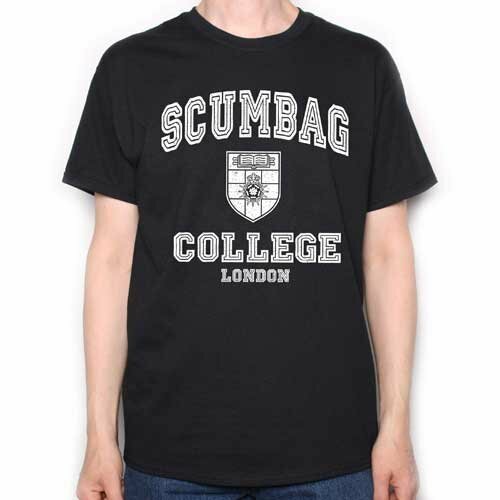 This official tee is highly rated by customers and very reasonably priced. 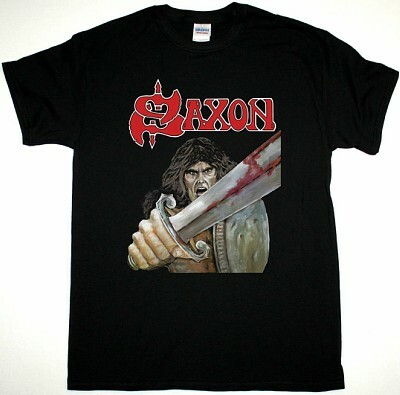 The anarchic punk also wore a Saxon debut album art T-shirt in at least two episodes, and he appeared to wear kit whenever he threw a party, as in the episode Interesting. Finding a first album T-shirt has been more difficult than anticipated, but there are a couple of sellers on ebay selling brand new shirts, as I write. 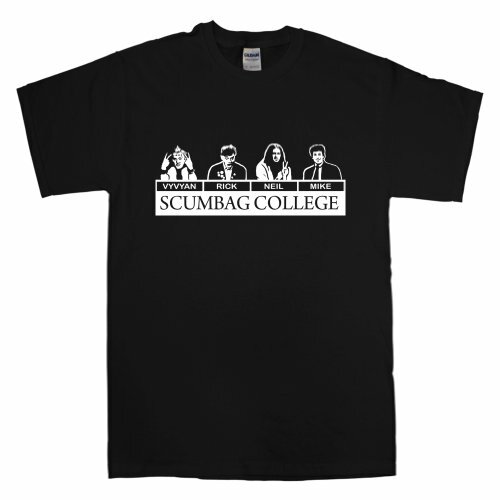 A fun, alternative idea would be to wear a T-shirt representing the classic episode where the Young Ones went on University Challenge as Scumbag College. A wig comes with the ready-made costume, but if you're creating your own then I'm afraid there is no official wig available. However, this orange spiky punk wig is close his hair style and pretty low cost for a wig. That's just about it - you're ready to party!